Randall has had a large number of successes throughout his professional career in both commercial management and general management positions. Most of them focus on logistics, supply chain and integral real estate consulting solutions. to clients and training of high performance teams that provide excellent services with a high performance team. Corporate Solutions implemented in the following industries have been established as success stories. Corporate Solutions Projects -Real State and Strategic Plan. Business Development Venezuela Market and Andean Pact Service and Solutions. Business Development Honduras Market and Central America Products , Service and Solutions. Business Development Costa Rica Market Products, Service and Solutions. Tribunal Supremo de Elecciones Costa Rica. Hotel Guanacaste / Feasibility Study. Coca Cola -3M-Bimbo-Oracle-Dhl-Cargill-Equifax-Encore-Transperfect-Regus-Fedex-Paimsa-AimarBanco Nacional-BCR -BNCR- Lafise- Proamerica--ACOBO- BAC San Jose- Safi -BcoPopular-Banco General -INS Safi.Green Park-Latam-Montecristo-Aldesa-Improsa-PImsa- Garnier y Garnier- Coyol Free Zone, Cuestamoras, GTU, DWL, Saxum, Solarium, Green Park, Dinant,Disal,SofwareOne. MBA Administration -Marketing / Sales. National University San Diego CA. Colliers University Management for Real Estate Companies. American Chamber Of Comerce Costa Rica . Cámara de la Construcción Costa Rica. 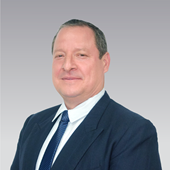 Mario is a Senior Advisor to corporate clients in the office market and leads that segment in Colliers Costa Rica. 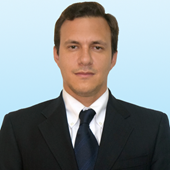 He mainly works on Tenant Representation, often in close coordination with the Latam Project Management team. 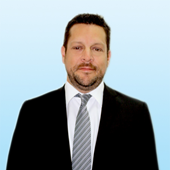 Mario also works closely with Corporate Solutions teams in different locations as the local Colliers point of contact, since several Colliers corporate clients have operations in Costa Rica. Ocassionally, Mario works on consulting projects for real estate developers and investors as well. Mario is an experienced business executive with a noteworthy entrepreneurial spirit. 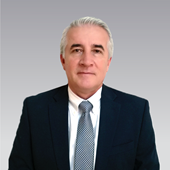 He started his career in the Shell Group of Companies, where he spent several years in the Retail, Profitability Analysis and Human Resources areas of the Oil Products business in Latin America. Mario later moved on to the Real Estate industry in Costa Rica, where he worked in Property Management and Real Estate Development for 7 years. After this, Mario co-founded and managed a Real Estate Advisory, Portfolio Management and Construction business, where he mostly served foreign investor clients. 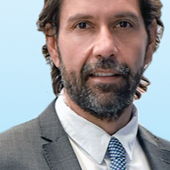 With over 16 years of combined professional experience in a multinational company and in the real estate industry in Costa Rica, and looking for broader challenges and impact potential, Mario joined Colliers in 2016. 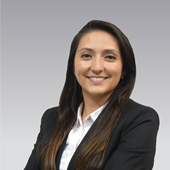 Graduated economist from the University of Costa Rica, with more than 15 years of experience in economic counseling, in the establishment of national and foreign companies, and the management of economic, legal and technical analysis departments. 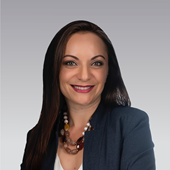 Mónica Castillo, is the director of Real Estate Intelligence of Colliers International Costa Rica, coordinates the real estate intelligence division, which is composed of a multidisciplinary group responsible of providing real estate consulting, focused on the diagnosis of market trends, investment opportunities, historical behavior in the main variables of the real estate markets, quantitative and qualitative studies and diagnoses of the real estate market, historical analysis and trends in demand, inventory variations, price ranges and global market activity among others. In addition, it directs the formulation of various types of studies: comparative prices, appraisals and determination of land uses of land and land, feasibility studies, market studies, studies of greater and better use and site selection. 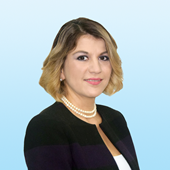 Previously, she was the Director of Technical Studies of the Costa Rican Chamber of Construction, where she was responsible of planning and executing the actions aimed at solving the requirements of the different subsectors associated with the Costa Rican Chamber of Construction, thus attending the Board Directive, as well as the committees of: Housing and Real Estate Development, Social Interest Housing, Consultants, Contractors, Infrastructure and Major Works, Industrial Suppliers and traders, as well as the commissions created for specific topics. 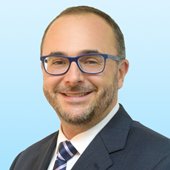 Sebastian joined Colliers in April 2017. His main responsiblity is the prospecting of new clients that require multiple real estate services/solutions as well as creating synergy between Colliers´ different service areas. More tan 9 years of Comprehensive financial analysis and modelling experience . Worked for important worldwide companies such as Citi Group, IDB (Inter-American Development Bank) Zoetis in San jose, Costa Rica. Great experience in Finance and love for sales as well as in creating new companies stategies for facilities designed occupancy strategy development / needs analysis​ for Corporations. Sebastian expertise is in analyzing business needs, and developing effective solutions and business intelligence based on cutting edge technology, information, and ingenuity. 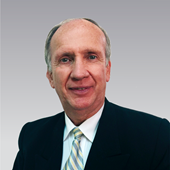 He provides emphasizes innovation and efficiency to develop information that maximize tangible value to our clients. He has the ability to identify customer needs and seek solutions are utilizes with his background in business finance to represent the interests of his corporate portfolio clients and local businesses. Head designer of several projects, shopping malls, industrial/logistic facilities, mixed use projects. Land planner for several properties, for different uses like logistics parks, mixed used projects, residential developments. Site selection and best use criteria. Consulting company specialized in strategy, competitiveness & commercial execution. Currently working on a project with IDB to create an inclusive distribution network in Costa Rica. This is a metal mechanic company that produces machinery and equipment for the PVC and petroleum industries. I was in charge of all the finance responsibilities including: budget, P&L and Cash Flow management, expenses administration (accounting and treasury). In addition, I had the Human Resources and the relationships with banks and Government officials. I accomplished a revaluation of assets and I was in charge of the implementation of an efficiency program that brought an important reduction in G&A costs. I implemented a productivity initiative as well as a debt redefinition that were critical for the company´s financial results. El Cafetal Society S.A. (2004-2005). Company that imports home appliances and furniture. I designed a program to reduce import costs as well as to get the optimal import volume. In addition, the project increased the variety and profitability of the sku´s imported. I developed a discount program that was implemented with excellent results. I developed a CSR strategy for a company that included stakeholders‘dialogue, social and environmental footprint analysis as well as a strategic social investment plan. We accomplished an important growth in the product portfolio, sales and profits. We started exports to all Central America with great success. Negotiations to have a national distributor: CIAMESA from Constenla & Co. Implementation of a new distribution strategy that allowed a doble digit growth in sales. I developed the strategy and lead the implementation to reopen the train system in Costa Rica. We created 4 routes: Pavas-San Pedro, San José-Heredia, San José-Belén, San José-Cartago. In addition, I started rebuilding the railroad between Heredia and Alajuela , leaving the technical and financial resources to launch the project. I developed the feasibility study to build and electric train in Costa Rica. This project will increase transportation efficiency as well as a reduction in carbon emissions. I reduced the institution debt from 1 million dollars to almost zero and I developed permanent income streams of 2 million dollars. I opened a first duty-free store in the Juan Santamaría Airport without any investment from the Government. All through strategic alliances with companies and other Government Institutions. Benchmarking study with duty-free stores in Central America and definition of a new pricing strategy. I was responsable for the organization, coordination and implementation of the first National Plan to support SMEs in Costa Rica. This program had the participation of more than 20 organizations including universities, Ministry of Education, Banks, ONGs, Private Chambers, etc. I was in charge of the creation and implementation of the Costa Rican SMEs´ Law. 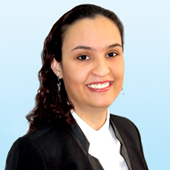 Member of the Board of Directors of the Regional Center for Productivity (CEFOF). To Belgium, Luxemburg and Denmark. Executive with professional experience in Sales, Marketing and Entrepreneurship. Independent Real Estate Broker since 2007, specializing in Residential, Land Development and Commercial Real Estate. Specialist in supporting people working in multicultural or unfamiliar cultural environments to acquire the knowledge and skills that will help them to succeed in their business, family and personal life. 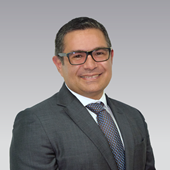 Miguel Rodriguez Vega, with a professional degree in Electronic Engineering, is part of one Colliers International since September 2018. -Advice on commercial development projects, starting from obtaining the land until rent or sale of the commercial locations. -Advice on topics such as search and expansion of business coverage. -Feasibility studies, studies of higher and better commercial use, appraisals and others. 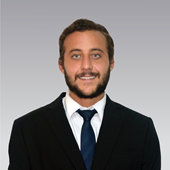 Previously Miguel worked as a Product Engineer for the transnational Intel in Heredia, Costa Rica from 2007 until 2013. 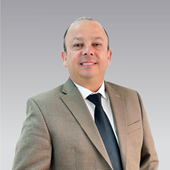 From 2013 to 2018 he focused on his own Real Estate company, Rodriguez Vega Real Estate and Consulting, where he acqueired a lot of experience in several topics as: Home construction, bank auctions, home appraisals, sales techniques, data analysis, advertising, customer service, social networks and others. Architect and Urbanist, with 4+ years of experience in design and knowledge in administrative procedures/workflow. Currently getting a Master Degree in Project Management (PMP Certify). Proactive and passionate about innovation in design, urban and infrastructure investigation. · Project Manager: Team Leader and coordinator for specific projects and presentation to investors. · Project Manager: Project digitalization and 3D modeling. Post production and Branding Architecture. · 3D Modeling, Conceptual Sketcher and animated video production for Architecture projects. · Project Designer: Homes, Social Oriented Projects (low cost), churches, educational centers, recreation centers, climate-friendly projects. · Team Member in the 3D evaluation, for lowering costs. Within Architecture environment, passion, detail, cost and timing are the key to quality. Working with creative passionate team members, a correct order of project management, communication, creative problem solution and innovative design, are basic for a successful overcome. Excellent critical thinking, problem-solving and analytical skills. Intellectual curiosity, and the interest or understanding of key aspects of the infrastructure sector (finance, sustainability, construction and real estate across asset classes, megaprojects public and private). · Internal Strategy and communication. · Optimization, Workflow diagrams, and iconographic communication for different corporation processes for Costa Rica and LATAM. · Design Structure for monitoring and business formation. Project and Change management for process implementation. Introduction and presentation, of new business processes to managers and team leaders. Internal Magazine Designer and Project manager. Business language and expression is prior when exposing new implementations, also the ability to explain the impact and change of it. Design sensibility - ability to make a judgment about what to express and how when it comes to communication, designing or business presentation design. PM structure is key for developing communication design projects, and the ability to take team members, stakeholders, managers and the business people way of thought towards the corporative objective, by a process of keeping it simple in the structure workflow design. Graduated from Saint Paul High School, I started my professional career working as a administrative assistant in Alter Equus. Alter equus was a equestrial institution that gave big companies around Costa Rica leadership courses, using horses as an example. Horses use to high standards for heriarchy by aquiring a leader attitud you could be able to make them follow your instructions by your gestures. While studying buisness administration at the Universidad Latina member of Laureate International schools, I moved on to the furniture manufacture industry for one year in a administrative department being in charge of inventories. After one year of in furniture industry, I started my carreer at Colliers International with the specialization on industrial market. Now I have three year experience in international and national industrial accounts giving service to bothe scenarios Landlord Representation and Tenant Representation.